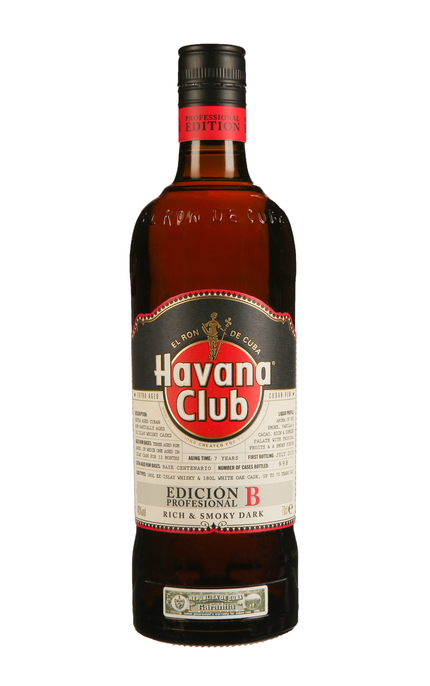 Due to American blockades, even the ex-bourbon barrels use to age Havana Club come via the Midleton distillery in Ireland where they are used to age Jameson and other whiskeys. A mix up in shipments resulted in ex-Islay whisky casks being sent to Cuba instead of Irish whiskey barrels. The rum aged in these is the base of this rum. Asbel Morales, Maestro del Ron Cabano married the dry whisky notes imparted by the Islay casks with his richest Cuban rums. 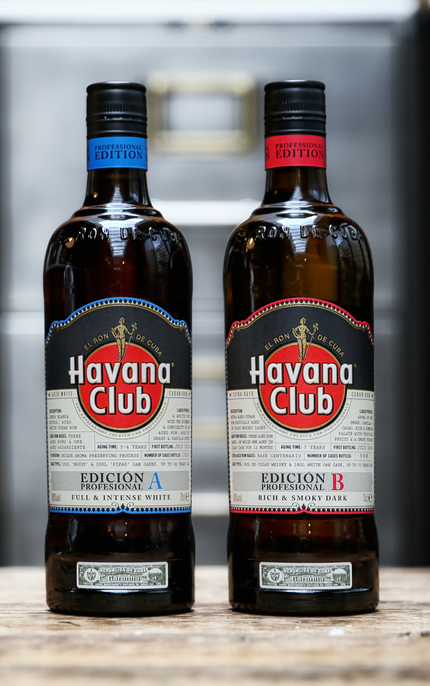 Fortuitously, this was around the time that Nick Blacknell, Havana Club’s International Marketing Director, conceived Havana Club’s Professional Edition, a new range limited edition bottlings inspired by Havana Club Esencial de los Cantineros . 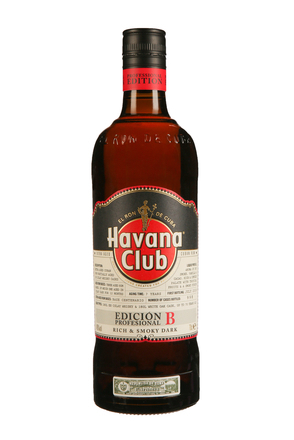 Nick took acclaimed bartender, Nick Strangeway, to Cuba to work with Asbel on the final blend. Liquid profile: Aroma of dry smoke, vanilla and cacao. 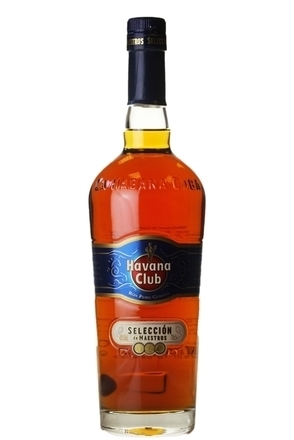 Rich and complex palate with tropical fruits and a smoky finish. Cacao and coffee with brasil nuts, vanilla, faint smoked kipper and blackened fruitcake. Medium to full-bodied. Lightly spiced, subtly smoked cacao with dry nuttiness, over-baked fruit cake, cigar leaf and oak tannins. More of that cacao and spice with monkey nuts and a Frazzles Crispy Bacon Snacks smoky note. The label proclaims this rum as being “rich & smoky dark”. 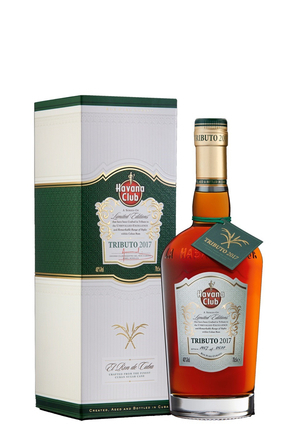 Rich refers to this rum’s generous flavour rather than suggesting it’s sweet. 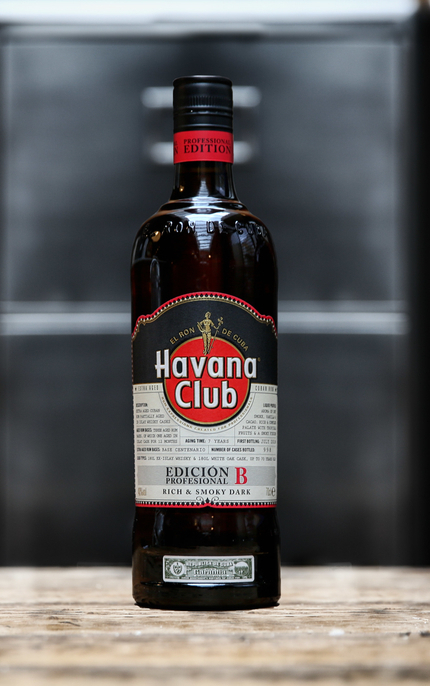 Indeed, as rums go, Edition B is on the dry side. 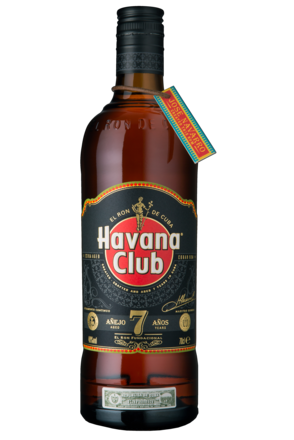 Cacao, coffee beans, brasil nuts, vanilla, smoke and blackened fruit cake characterise this generous and singular rum from nose to finish.